Whether an entrepreneur or employee, we can all learn from the inspiring stories of other women who've gone before us. Our guests motivate listeners through their stories of success and learning despite fear. They have faced their fears, acted with courage, and their braveness rewarded. Need help making more money? Or investing it? Or saving for retirement? Or getting out of debt? Or do you want to learn how to set up a second income stream, your own business on the side? Or maybe just learn from talented women who are leaders in large corporates, charities or communities. 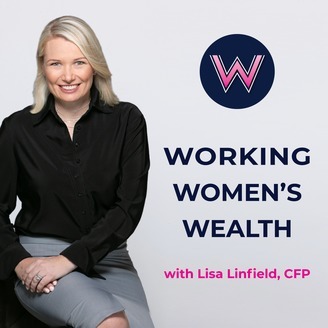 Lisa Linfield is a qualified CFP with a degree in financial planning. She spent 19 years as a leader in large financial institutions before setting up her own Wealth Management business. Her passion lies in helping women navigate their success at work - either in corporate or as business owners - and assist them in managing their money. 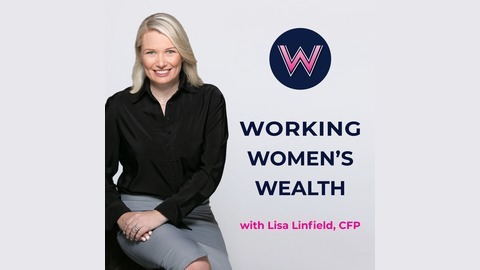 Find out more on www.workingwomenswealth.com. Creative thinking is the MOST sought-after skill in the world! After all, AI is able to do all programmable work. BUT creativity is NOT artistry. It’s alternative thinking to solving problems. I am joined by Nina Pearse, founder of Creativity Wake Up. Creative muscles can be exercised. Nina and her team stretch your fluidity, speed of thought and originality! And we need so much more of THIS!